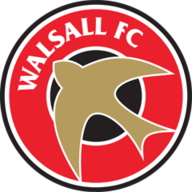 Match ends, Walsall 2(3), Coventry City 2(4). Penalty Shootout ends, Walsall 2(3), Coventry City 2(4). Penalty saved! Joe Edwards (Walsall) fails to capitalise on this great opportunity, right footed shot saved in the bottom left corner. Goal! Walsall 2(3), Coventry City 2(4). Jordan Ponticelli (Coventry City) converts the penalty with a right footed shot to the bottom right corner. Goal! Walsall 2(3), Coventry City 2(3). Jordan Shipley (Coventry City) converts the penalty with a right footed shot to the top right corner. Goal! Walsall 2(3), Coventry City 2(2). Amadou Bakayoko (Walsall) converts the penalty with a right footed shot to the bottom right corner. Penalty saved! Daniel Agyei (Walsall) fails to capitalise on this great opportunity, right footed shot saved in the top centre of the goal. Goal! Walsall 2(2), Coventry City 2(2). Ben Stevenson (Coventry City) converts the penalty with a right footed shot to the bottom left corner. Goal! Walsall 2(2), Coventry City 2(1). Peter Vincenti (Coventry City) converts the penalty with a right footed shot to the high centre of the goal. Goal! Walsall 2(2), Coventry City 2. Luke Leahy (Walsall) converts the penalty with a left footed shot to the top right corner. Goal! Walsall 2(1), Coventry City 2. Erhun Oztumer (Walsall) converts the penalty with a right footed shot to the top right corner. Penalty missed! Bad penalty by Marc McNulty (Coventry City) right footed shot is close, but misses to the left. Marc McNulty should be disappointed. Penalty Shootout begins Walsall 2, Coventry City 2. Second Half ends, Walsall 2, Coventry City 2. Attempt missed. Ben Stevenson (Coventry City) right footed shot from outside the box is close, but misses to the left. Goal! Walsall 2, Coventry City 2. Daniel Agyei (Walsall) left footed shot from very close range to the bottom right corner. Corner, Walsall. Conceded by Liam O'Brien. Attempt saved. Kieron Morris (Walsall) right footed shot from the right side of the six yard box is saved in the bottom right corner. Attempt saved. Chris Camwell (Coventry City) left footed shot from outside the box is saved in the bottom right corner. Foul by Jordan Ponticelli (Coventry City). Chris Camwell (Coventry City) wins a free kick on the right wing. Jordan Ponticelli (Coventry City) wins a free kick in the attacking half. Corner, Walsall. Conceded by Dominic Hyam. Dion Kelly-Evans (Coventry City) wins a free kick in the defensive half. Corner, Coventry City. Conceded by Jon Guthrie. Jordan Ponticelli (Coventry City) wins a free kick in the defensive half. Foul by Chris Camwell (Coventry City). Substitution, Coventry City. Bilal Sayoud replaces Callum Maycock. Attempt saved. Reece Flanagan (Walsall) right footed shot from outside the box is saved in the top right corner. Amadou Bakayoko (Walsall) wins a free kick in the defensive half. Attempt missed. Reece Flanagan (Walsall) right footed shot from outside the box misses to the right. Substitution, Walsall. Erhun Oztumer replaces Zeli Ismail. Attempt saved. Amadou Bakayoko (Walsall) right footed shot from outside the box is saved in the centre of the goal. Dion Kelly-Evans (Coventry City) wins a free kick in the attacking half. Substitution, Walsall. Joe Edwards replaces Maz Kouhyar. Maz Kouhyar (Walsall) wins a free kick in the attacking half. Attempt missed. Kieron Morris (Walsall) left footed shot from outside the box misses to the right. Goal! Walsall 1, Coventry City 2. Jordan Ponticelli (Coventry City) right footed shot from the centre of the box to the bottom left corner. Assisted by Marc McNulty. Ben Stevenson (Coventry City) wins a free kick in the attacking half. Attempt missed. Jon Guthrie (Walsall) header from the centre of the box misses to the right. Daniel Agyei (Walsall) wins a free kick in the attacking half. Goal! Walsall 1, Coventry City 1. 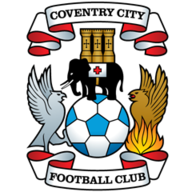 Marc McNulty (Coventry City) converts the penalty with a right footed shot to the bottom right corner. Penalty conceded by Liam Roberts (Walsall) after a foul in the penalty area. Corner, Coventry City. Conceded by Nicky Devlin. Attempt missed. Ben Stevenson (Coventry City) left footed shot from outside the box is high and wide to the left. Attempt saved. Daniel Agyei (Walsall) right footed shot from long range on the right is saved in the bottom right corner. Callum Maycock (Coventry City) wins a free kick in the defensive half. Dion Kelly-Evans (Coventry City) wins a free kick on the left wing. Second Half begins Walsall 1, Coventry City 0. Substitution, Coventry City. Jordan Ponticelli replaces Stuart Beavon. First Half ends, Walsall 1, Coventry City 0. Stuart Beavon (Coventry City) wins a free kick on the right wing. Attempt missed. Peter Vincenti (Coventry City) right footed shot from outside the box is close, but misses to the left. Amadou Bakayoko (Walsall) is shown the yellow card. Attempt saved. Peter Vincenti (Coventry City) header from the centre of the box is saved in the centre of the goal. Attempt missed. Maz Kouhyar (Walsall) right footed shot from outside the box is just a bit too high. Foul by Jack Grimmer (Coventry City). Daniel Agyei (Walsall) wins a free kick on the left wing. Goal! Walsall 1, Coventry City 0. Zeli Ismail (Walsall) converts the penalty with a right footed shot to the bottom right corner. Penalty conceded by Peter Vincenti (Coventry City) after a foul in the penalty area. Penalty Walsall. Zeli Ismail draws a foul in the penalty area. Corner, Coventry City. Conceded by Kory Roberts. Attempt blocked. Ben Stevenson (Coventry City) right footed shot from the centre of the box is blocked. Attempt blocked. Peter Vincenti (Coventry City) header from the centre of the box is blocked. Marc McNulty (Coventry City) wins a free kick in the defensive half. Attempt saved. Kory Roberts (Walsall) header from the centre of the box is saved in the centre of the goal. Attempt saved. Stuart Beavon (Coventry City) right footed shot from the centre of the box is saved in the bottom right corner. Peter Vincenti (Coventry City) wins a free kick on the right wing. Attempt missed. Zeli Ismail (Walsall) left footed shot from outside the box is close, but misses to the right. Corner, Coventry City. Conceded by Luke Leahy.